At sites without a continuous dock face SedCon® Turbo Units are deployed from flanged guide piles. The Turbo Units have pairs of shoes that key onto the flanges, allowing them to slide up and down the guide pile. At sites without a continuous dock face (e.g., oil terminals), the guide piles are integrated into free-standing support platforms that are interconnected by catwalks. 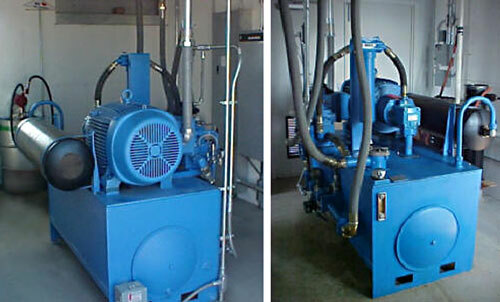 In these cases, hydraulic-powered winches are used to raise the Turbo Units for inspection and servicing. At sites with continuous dock structures, the guide piles are angled and integrated into the dock structure. By angling the guide pile, the Turbo Units recede behind the dock face as they are lowered into operating position. In this case, raising and lowering is typically done with a dock-based crane.